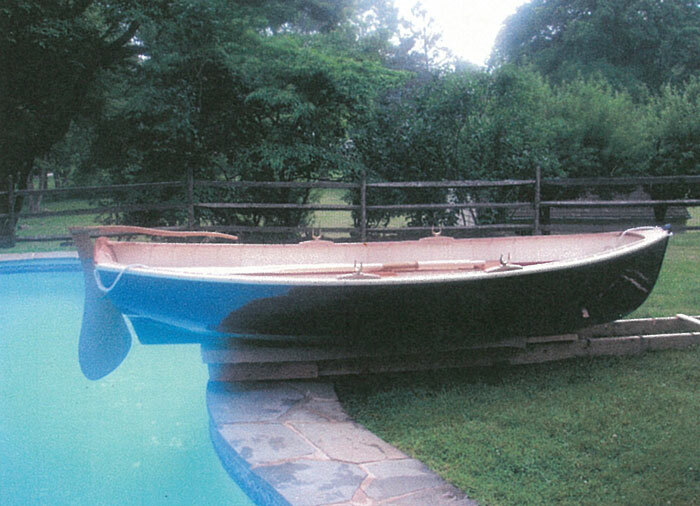 James Gowen and his family launched this Catspaw Dinghy, BLUE LOBSTER, in their family pool at their home in Berwyn, Pennsylvania. BLUE LOBSTER was designed by Joel White, and is 12'8" long, with a 4'6" beam. 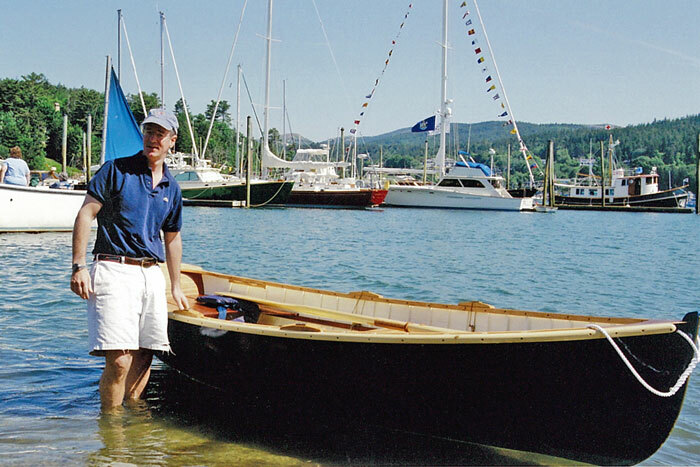 James planked the hull with white cedar on oak frames. 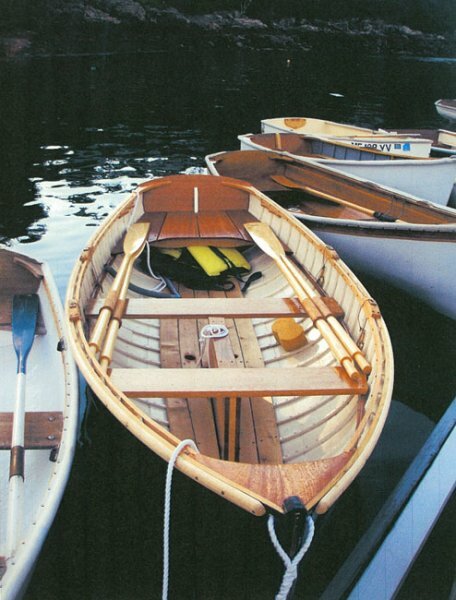 The keel and stem are also oak, while the thwarts are mahogany. The Gowen family now sails BLUE LOBSTER in the waters around Mount Desert Island, Maine.